Collections are a whimsical thing. Strolling through a silent museum, or a private space, filled with hundreds of interrelated pieces lovingly curated by one or two devoted experts or fans, one can’t help but feel a sense of awe and wonder. If that same collection were actually created organically by thousands of unrelated individuals, that sense of awe can increase a thousandfold. And so does the fun. 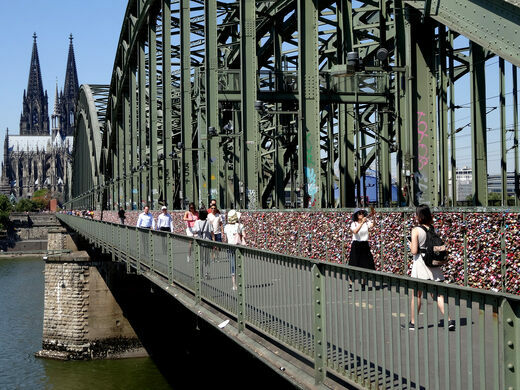 Case in point: the wall of “Love Padlocks” on display on the Hohenzollernbrücke bridge in Cologne, Germany, painstakingly created piece by piece as an endless stream of couples have come to publicly honor their love. 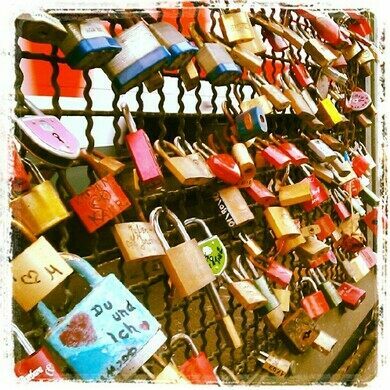 Thousands of padlocks now hang from the railings of the bridge, each inscribed, painted, or otherwise decorated by the couple that hung it. 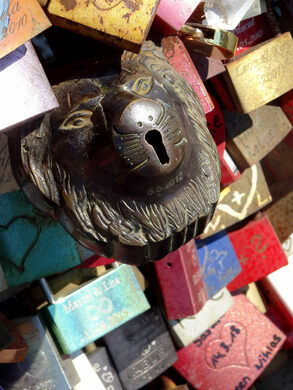 40,000 padlocks hang on the bridge to date – a shocking number considering that the tradition only started in 2008. That means 40,000 couples – 80,000 individuals in all – have participated in this fast-growing, spontaneous collection. The padlocks have added over 2 tons of weight to the bridge, causing local officials to question how long the practice can be sustained. But for now, the burgeoning wall of padlocks is enchanting – though not nearly as enchanting as the actual tradition of hanging one. A happy couple, hopelessly enthralled by their own affection, brings an open padlock to the bridge, prepared to mark it with their names and clasp it permanently into the collection, symbolizing the strength of their attachment to one another. 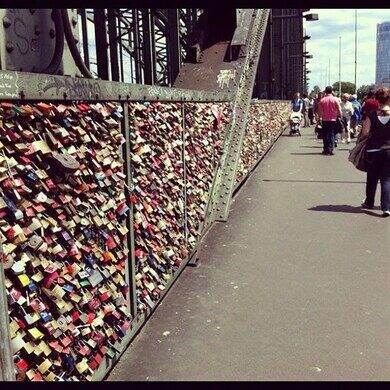 And to symbolize the everlasting nature of their love, the key is dropped over the edge, tumbling far below into the eternal waters of the river Rhine. All to say, as impressive as the collection of padlocks is, perhaps the more intriguing collection – and almost certainly the longer-lasting one – are the tens of thousands of tiny keys that now line the riverbed of the mighty Rhine. 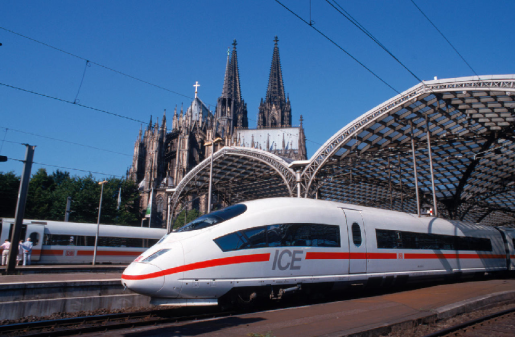 This is a trend that seems to be catching on the world over - similar bridgescapes can now be seen in Edinburgh, Paris, Moscow, London, and Leeds. An elegant chandelier hangs over this ancient sewer chamber, now open for concerts and public tours.